TOKYO, Fujitsu Laboratories Ltd. and Fujitsu Limited today announced the development of technology that can automate the design of magnetic material geometries, using AI to minimize energy loss. 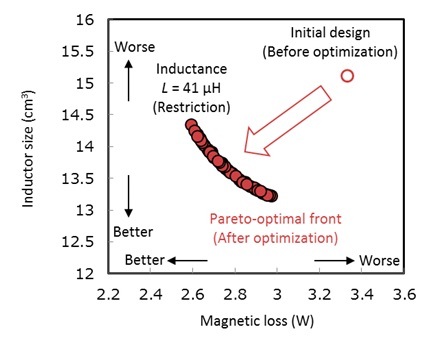 To design magnetic materials, which are common components in electronic devices, developers previously worked under conditions where they had to spend large amounts of time and money conducting tests based on trial and error. The new technology automates and digitizes the development of prototypes, significantly improving R&D efficiency. 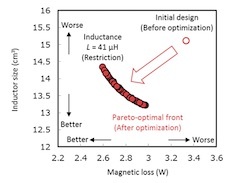 In addition, this technology is expected to enable geometric designs for magnets, even without specialized expertise, in a variety of R&D fields, such as power electronics and electric vehicle motors. Fujitsu aims to make design services incorporating this technology available through the cloud in 2020.